Reach the right people, at the right time, with the right message. Find your exact target audience and make sure you are found when they are looking. If you want to start generating customers, if your existing campaigns aren’t performing as well as you’d like, or if you’ve tried PPC before but didn’t get the results you wanted, then we can help. 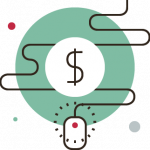 Through audits, best practice campaigns and ongoing management we apply our expertise and experience to make the most of your online advertising. The key to online advertising is in the ongoing improvement and targeting as much as the initial build, and that’s how we generate high ROIs and deliver on your objectives. As a result of our consistently high-performance levels we have achieved Google Partner status, as well as our team being Bing Accredited and Google Certified. Our Digital Marketing Manager, Paul Jackson, has a decade of online advertising experience including speaking at Google conferences, coaching others to become Google Partners, achieving Google Accreditations and helping Google develop their AdWords agency platform – so you couldn’t be in better hands!